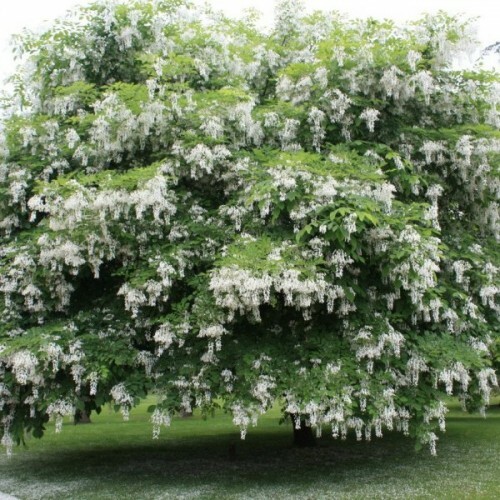 Lovely drooping chains of white blossoms in late spring is the forte of the yellowwood, but its bright green leaves that become a brilliant yellow in autumn is also spectacular. 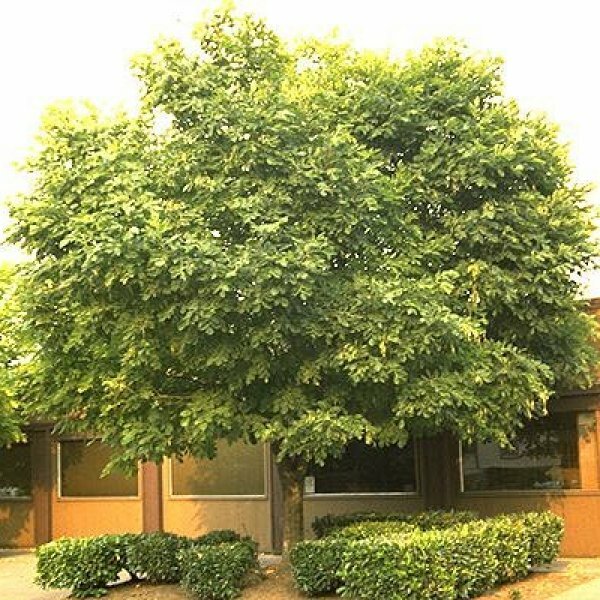 A deciduous tree from the American Southeast (North Carolina to Tennessee and Kentucky), it attains a rounded shape with low and spreading branches. Its smooth bark is sandy brown but becoming increasingly gray with age. 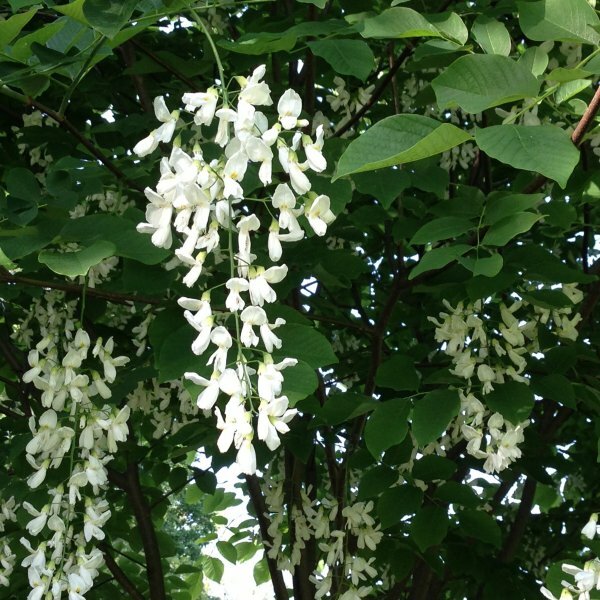 The name "yellowwood" refers to the color of the heartwood. 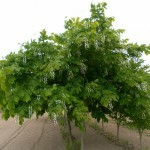 The foliage emerges in spring with a yellow-green color and minute gray hairs. The leaf is made up of seven to nice leaflets that are oval and are a bright green across the summertime. In late spring to early summer, long pendulous spiked clusters of creamy white flowers with yellow marks grace nearly every branch tip. 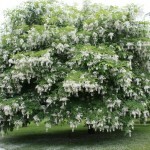 This wisteria-like flowering tends to be most profound in alternate years. 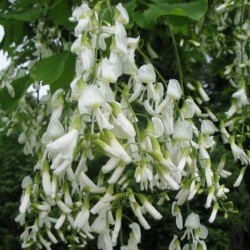 The fragrant, pea-like flowers attract bees and will yield small light brown pods. In autumn the foliage becomes a bright, clear yellow. Germination 1. Soak in a bowl of water for 24 hours. This will help to soften the tough outer coat of the seed, preparatory to germination. 2. Moisten the peat moss and wring out any excess moisture. You will need enough peat to completely envelop the seed, generally twice the seed's volume. You can use moist vermiculite as well. 4. Check the moisture content of the peat or vermiculite periodically. If it begins to dry, spray it with a misting bottle so that it is moist, but not soggy. 6. Plant the seed ~2-4mm deep and cover it with soil. Place the pot in an area that receives light, but not direct sun. 10. Water when the top two inches of soil become dry.